Bike helmets offer the best protection to your head from injury in case of an accident. An excellent full-face mountain bike helmet provides the rider with the balance of comfort, ventilation, and coverage. Designers of mountain bike helmets have made great strides to improve the helmets comfort level. Why should you buy the Full Face Mountain Bike Helmet? Full face helmet gives you the chance to protect your whole face and head and to prevent the rider from experiencing the real dangers of the concussions. In downhill, the mountain bike speed is higher hence the impact becomes harder. 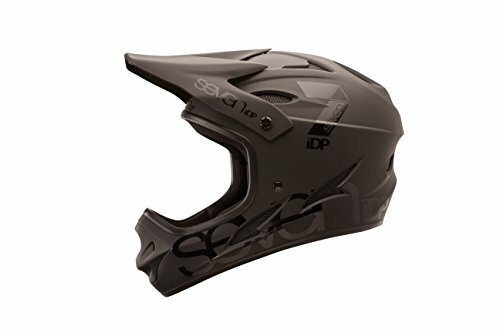 So you need to have a full face helmet if planning on downhill riding since the chin guard helps to keep the mug looking super pretty. And the extra wrap and padding give an around protection saving your life. They also have the MIPS protection giving the rider protection against the blunt forces and rotational impacts. 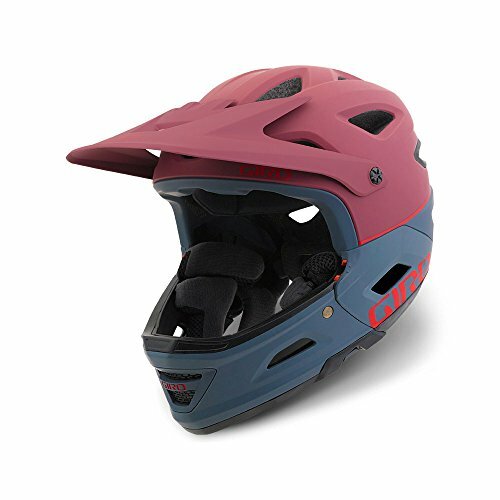 Best Downhill Helmets are low in weight, and they offer the rider with terrific visibility while also keeping the riders head safe and calm. They are ideal for cyclists who ride a mixture of technical trails and pedal. They give you the power to enjoy a downhill and freestyle ride. The full faced helmets have an inner lining that’s removable making them easy to wash.
Mountain bike helmets are the vital piece of equipment that every rider should have but most of the bikers neglect it. When buying a helmet, a rider should check out for the mandatory CE certification, durability, and adaptability. We have the necessary information to guide you as you purchase a Best Downhill Mountain Bike Helmets as your companion for daily rides. 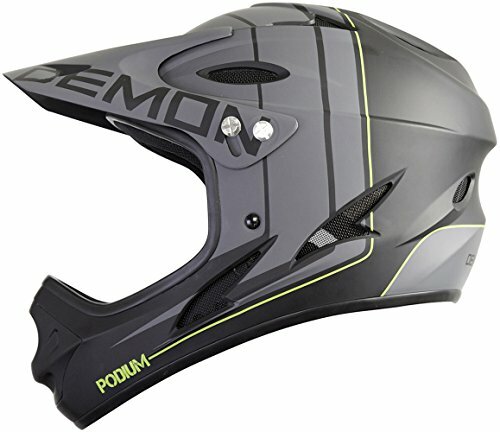 Demon Poduim is a great and awesome helmet that’s under $100, and a designed by My Demon’s Pro rider team. The helmet has a most hardened polycarbonate shell with at least thirteen uniquely designed air vents. This helmet is perfect even for the hottest summer rides since it’s well ventilated. It comes with a removable liner making it easy to wash and keep it clean making this a great feature since helmet may get smelly. The helmet is brain teaser audio systems compatible. The helmet liners are washable and removable. The Bell Super 3R offers an easy to remove chin guard and an open face. It’s easy to remove and attach the chin guard even with your eyes closed. The helmet is ideal for riders for love stable and open face helmets with more options of adding extra protection if needed. The helmet chin retention system is more straightforward to use with its proper venting, low weight, and an ATSM easily removable and certified chin. It also comes with a breakaway POV and oversized air vents that make your face fell slightly claustrophobic. Fox head rampage helmet is one of the best downhill mountain bike helmets with its 11 large vents and designed for competitive riders. The helmet is made of carbon making it extremely light, and it also races ready fiberglass shell that’s lightweight. It comes with channeled EPS giving the helmet an improved airflow. The poured PU chin bars construction gives it an added protection and the multiple shell sizes, and EPS makes it have a pro-level fit. 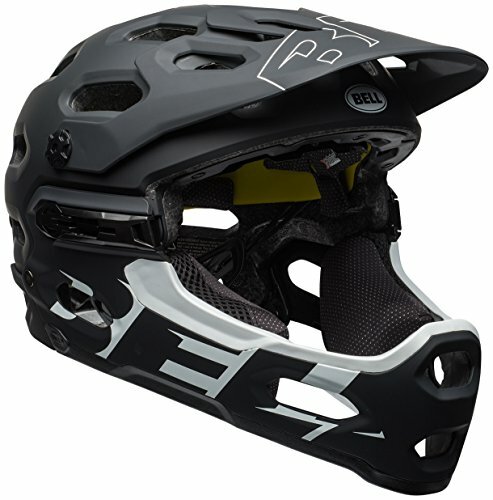 This is another great Best Downhill Helmets that comes with GoPro mounts and removable chin guard. This full face helmet boast of having twenty vent cooling systems that are super technically designed to give all the comfort you deserve. It comes in 10 great colors making it easy to choose the best color that fits your taste and style, and it’s available in six other different sizes ensuring every rider gets the perfect fit. The Giro Switchblade has a double D-ring closure making it firm and anti-microbial padding. The switchblade MIPS has a new Roc Loc Air-DH ft system that has a bumper around its dial to prevent it from accidental adjustments. 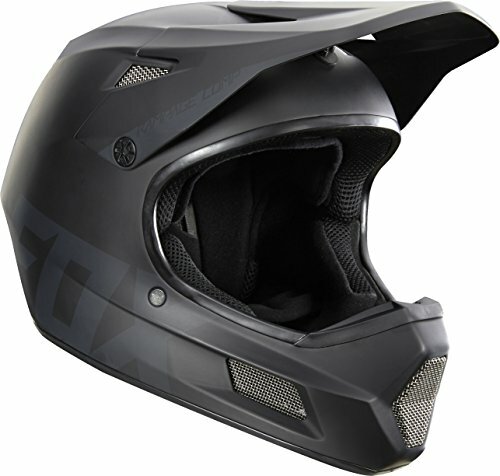 It also has a full-cut stylish that gives the helmet an aggressive look, and it also provides an ASTM certified coverage. In a small degree, it hinders the sense of hearing which is a negative style to some people. The 7iDP M1 Helmet specializes in offering protection to mountain bike riders. This helmet is full face with seventeen vent systems to provide cold heat exhaust and air intake. It also comes with a USP which is large enough to offer maximum visibility to riders; it’s low in weight and comfortable. The lightweight is due to its polycarbonate shell ensures that you are comfortable as you ride the whole day. Adjustable visor is perfect for precipitation and minimizing the glare effects. The large eye port helps to optimize the rider’s field of vision. The adjustable screen is firmly held together by two aluminum screws and also a central thumb screw mesh. The mesh covers the vents preventing debris and dirt from getting inside the helmet large eye port. This leads to an improved goggle fit and greater field of visions. Mountain bike helmets are dedicated helmets uniquely designed to protect the rider from any head injuries in case of a significant crash. They are super ventilated even when at low speeds. And they are often built with different visors that protect the riders from sun, rain, and mud. The Best Downhill Mountain Bike Helmets provides the rider with rear-head coverage and full face protection with their wraparound chin bars. Here are things you need to know when buying a mountain bike helmet. Comfort plays an important role when choosing an MTB helmet if your helmet is not giving the support you deserve, don’t wear it. A good helmet should be snug but also not too tight to make you uncomfortable. The helmet should not move a lot once you rotate or move it. The helmet size matters a lot choose the one that fits your head correctly, and most of the brands have small, large and medium sizes for the riser to choose the best fit. When buying an MTB helmet you need to consider their weight, the heavier the helmet, the more uncomfortable and tiring you will feel. Most of mountain bike helmets are quite lightweight and made of expanded polyester that covers its outer shell. And the better quality of MTB has at least two layers firmly bonded together. The helmets with two sheets are the best since they are stronger and lighter but more expensive. All the mountain bikes are required to meet the safety requirements of U.S consumer’s product safety commission. This is regarding their features, price range, and designs. The helmet safety requirements allow the rider to focus on the best type of helmet they need to purchase based on their personal riding needs. These ensure the biker head is safe in case of an accident. Selecting the right fit for your head is the most critical factor when choosing the best model in the market. It should be snug, not too tight, and it should comfortably sit at least an inch above the rider’s eyebrows. It should also have enough wiggle room on both sides to enable you to wear the sunglasses or goggles comfortably. It’s advisable as you fit the helmet ensure you wear your sunglasses to get the perfect fit. Most of the helmets have general sizes if you bypass the larger size ensure you get a customized helmet. To determine the best size for your head, you need to measure the head slightly above the eyebrows. Record the measurements in centimeters or inches and then look for your size range according to where your measurements fall. The ventilation ports are uniquely placed to enable them to draw air in and then channel it to the other exit point hence cooling by convection. The larger front vents help to determine the helmet ability to cool. Given that the thickness and density of the foam liners and their ability to protect your head are always at odds with keeping the helmet cool. Increasing your helmet ventilation larger ports usually requires the use of liner reinforcements or denser foam that transmits the g-force more to the head during an impact. This means that the number of ventilation matters with the size of the helmet. Despite various vent orientation, shapes, and tensioning systems, the material of your helmet plays a significant part in preventing injuries in case of an accident. Having a crushable foam liner carefully sandwiched between your head and the outer shell is crucial in you staying alive. Liners are made of expanded polystyrene (EPS) which helps in spreading the energy during an impact by deformation and then bringing your head to a slower stop. EPS is tuned to a level of density that fits your helmet application for a softer and gradual speed impacts and harder and high-speed impacts. Some models have many high foams thickness that helps them to achieve the best level of protection. The outer shell of a mountain bike helmet is designed to give an agreeable surface for decals and pinstripes. It also protects the crushable helmet liner and provides it with a smooth surface to help the helmet slide along the trail in case of an accident instead of snagging. The Materials used to construct your favorite helmet plays a vital role in your life and gives you the power to enjoy riding. Overall, it’s important when buying the best mountain helmet to assess the type of riding you do, is it extreme adventure or recreation. This will help to influence the type of features that you need to look for in a helmet. Remember your safety comes first, and finding the right style and fit for your helmet can save your life; consider the models that are equipped with additional features but also check out for intricate design to cater for your sense of fashion as well. I hope the above guide will give you the insight you deserve to make the best purchase of a certified helmet to provide you with full protection without compromising on your fashion and taste. Right, fit, style and safety are all you need in a mountain bike helmet to ensure that you enjoy and have fun riding.